Enjoy a breathtaking view of the stars without the cold this weekend at the Valentine Adult Night, “Love Beneath the Stars,” at the New Mexico Museum of Natural History and Science at 6:30 pm tonight. Explore the museum exhibits, catch a special show with your sweetheart at the Planetarium, and share a romantic dance in the Atrium. Reserved for ages 18 and older. Tickets are $8 for non-members and are available at the door. 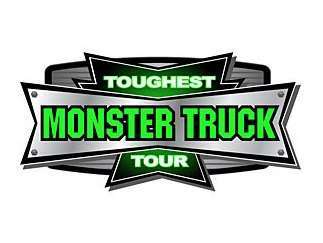 Prepare for a monster good time at the Santa Ana Star Center for The Toughest Monster Truck Tour. Shows are tonight and tomorrow at 7:30 pm. If you just can’t get enough of monster trucks and you’re in need of an unbelievable adrenaline rush, the Truck Tour will provide all the entertainment you need that will include Tailgater, Bigfoot and–wait for it–the fire-breathing Transaurus! Tickets start at $7.50. Tomorrow and Sunday, don’t miss the Laguna Corn Dancers Native American dances at the Indian Pueblo Cultural Center. Between 12 and 1 pm both days, observe the decorative ceremonial wear and the dances that convey more than just a performance, but a dance of meaning. Don’t miss the privilege to watch these ceremonial dances Tickets are $6 and $3 for children and students. For all of you runners and fitness fanatics, the 10th Annual Sweetheart Run is this Sunday at 9 a.m. You don’t even need to be in a relationship to join in on the 5 or 10K run in the beautiful Bosque along the Rio Grande River; make it a family event or a time for your friends to get together for a fast and flat running course to keep your New Year’s resolution intact or just for the fun of it! Admission is $15 to $25. Registration closes on Saturday at 11:59 am.